Suffering severe injuries in a car accident can create a significant financial burden. If you were struggling to make ends meet before the accident, immediate medical costs and lost wages can often leave you wondering if filing for bankruptcy is a good idea. However, since bankruptcy can affect a personal injury settlement, there are several factors to consider before making this decision. In a Chapter 7 bankruptcy, you are asking the court to discharge the majority of your debt. Child support, student loans, and most forms of tax debt are the most notable types of debt that can't be discharged by bankruptcy. Generally, most of the property you own becomes part of your bankruptcy estate when you file for Chapter 7 bankruptcy. This includes physical property, as well as intangible assets such as legal and equitable claims. You are required to list any applicable pending legal claims and causes of actions as assets when you file for bankruptcy. This includes a personal injury settlement. The trustee can sell assets in your estate to repay creditors. However, every state has exemptions that can be used to protect specific assets from being sold. Louisiana does allow certain types of health, accident, or disability insurance proceeds to be exempted. This might include your personal injury claim. The amount of assets you are allowed to keep relates directly to how much money you owe your creditors. If your assets exceed the value of your debts, you are allowed to keep the remaining funds. If your creditors do not submit proof of what you owe, they give up their right to collect funds from your bankruptcy estate. If you've already filed and later become party to a lawsuit, you should be aware that certain types of settlements or property interests can be considered property of your bankruptcy estate if you become entitled to them within 180 days of filing for bankruptcy. In a Chapter 13 bankruptcy, you're asking the court to allow you to repay your debts over a period of time. The amount you are required to pay to settle the debt is often less than face value, but it depends on your current income, the value of your property, and the specific types of debt you have. When you file for Chapter 13 bankruptcy, your estate also includes any settlements or property received during the pendency of your case. Typically, this period is from three to five years. A Chapter 13 bankruptcy trustee does not take your assets to pay creditors. However, to keep your property, you must pay your unsecured creditors an amount that is equal to your nonexempt assets. To do this, you'll be expected to increase your payments towards your unsecured debts. The property of a minor child is exempt from your bankruptcy estate under Louisiana law. This would include any personal injury settlement your child receives after being injured in an accident caused by another party's negligence. You are not required to have a lawyer to file for bankruptcy. However, since cases involving pending personal injury claims are quite complex, it's recommended that you consult a bankruptcy lawyer in addition to your personal injury attorney. 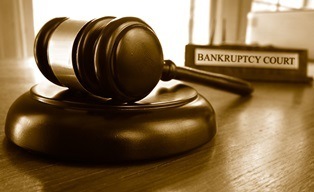 A bankruptcy lawyer can make sure your case is handled correctly and provide advice on whether a Chapter 7 or Chapter 13 bankruptcy is best for your situation. If you're thinking about filing for bankruptcy, be honest with your personal injury attorney upfront. Even though your financial problems don't affect your legal right to compensation for injuries caused by another party's negligence, your attorney needs to know they might be mentioned. You don't want to have the defendant's attorney try to use your financial problems to make you seem untrustworthy unless you know that your attorney has a clear rebuttal planned.